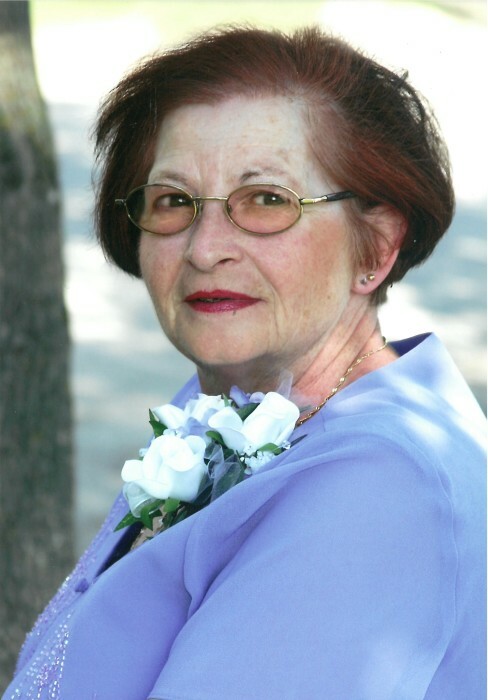 Adeline Perih of Dauphin, Manitoba passed away on Thursday, July 26, 2018 at the age of 72 years. Adeline Elaine Perih was born on April 1st, 1946, oldest daughter to Tony and Stella Perih in the village of Gilbert Plains, Manitoba. For the first few years of her life Mom lived on the family farm, just a few miles south of the Ashville Junction. In 1955 the family relocated to Dauphin and in 1960 to the house that she lived in until the time of her passing. There mom finished Grade 8 and went onto a 19-year career as a Health Care Aide working in Roblin, Thompson and Dauphin Hospitals. In 1969, I came along. Mom made the difficult decision to keep me and raise me. It was a very difficult decision back in the 60’s. With the help of her parents we moved in with them. Not long after I was born, uncle Bill Perih passed away. Mom and I went to stay with Auntie Lena and her sons David and Gordie to help them on the farm. Mom eventually returned to work at the Dauphin General Hospital until 1981. Mom decided that a career change was in her future. She wanted to go in as a hairdresser and explored schools in The Pas and Winnipeg, eventually settling on Scientific in Winnipeg. From there Mom found work in Winnipeg and I followed along in 1984. Eventually Mom decided that working in a hair salon wasn’t for her and went back to being a Health Care Aid in 1990. She worked at both the Golden Door Lodge and Golden Links Lodge eventually getting a full time position at Golden Links, all while still doing hair on the side. Mom stayed there until 1998, where she returned home to Dauphin after the passing of her father to stay and help her mom. She got on at Dauphin General Hospital and at St. Paul’s Nursing Home where she eventually got a full-time position, and remained there until 2006 until her health forced her to retire. Mom also liked to travel in her earlier years, travelling to British Columbia, Alberta, Ontario and Northern Manitoba to visit family. She also had a few treasures in her life, gardening and her flower beds. Even up until last year she tried to get out and tend to them. And then, there were the critters. Judge, our dashound we had when I was a little boy, and what was supposed to be my cat, Chenzy, the petite Siamese cat mom took with her to Winnipeg, where with a co worker’s cat had her bred. From there, Chenzy returned to Dauphin where she had her litter. Mom took two cats, Zazu and Chico with her to Winnipeg, two, Chenzy and Sisko remained in Dauphin and eventually they were all reunited. They brought many happy years to Mom and Baba. Then, there were her weekend visits with my critters, sometimes Brady, Nicole’s terrier cross and Sierra, our chocolate lab. It was nothing for Sierra to come home after one of our hockey weekends with her nails painted. She spoiled that dog as if it was one of her own grandchildren. Sierra was able to come for one final visit to mom in the hospital back in June. And because of mom donating the remaining cat food to the Humane Society after Sisko had passed, we added to our family with Dora, or better known as Dora the Explorer. Mom was more than willing to bring our 4 legged critters into her home to babysit whenever we were away with sporting weekends. She did so until this past spring where it was too difficult for her to look after them, which broke her heart. But Mom’s most important treasure were her two grandsons, Zachary and Xander. Mom would do anything to spoil these two. She’d have special treats for them when they came for their over night visits. She was even able to take Xander for us in 2012 when Nicole broke her ankle, and wasn’t able to look after a Terrible Two’s during the week and I would bring him home on weekends. Mom loved to come watch the boys with their school concerts and sports. Whether it was baseball or soccer in the summer or especially hockey in the winter. The boys would always call gramma and give her an update on scores, win, losses, shut outs and the rare goals and assists they got. They always had to bring and show her their medals and trophy’s with pride. She always cut out and saved any pics and articles when they made the paper. Mom is survived by myself, Blaine and daughter in law Nicole, 2 grandsons Zachary and Xander, her mother Stella Perih of Dauphin, Sister, Millie Baltkalns, and her husband Indulis, niece Amanda and great-niece Riane, nephew Derrick and great-niece Mary Jane, sister in law Joyce Perih, nephew Chris and great-niece Kaitlyn and niece Candace of Alberta. She was predeceased by her father Tony in 1998 and brother Norman in 2009. Viewing took place on Sunday, August 12, 2018 at 7:00 pm from the Sneath-Strilchuk Family Care Centre. A Funeral Service was held for Adeline on Monday, August 13, 2018 at 11:00 am from the Sneath-Strilchuk Family Care Centre in Dauphin with Rev. Steve Wilson officiating. Should friends so desire, donations in memory of Adeline may be made to The Arthritis Society of Manitoba or the Parkland Humane Society .